We celebrated six years together with a few days out of town, good food, and good times. A big thank you to Gigi for watching the girls, it's always easier to go away when you know everyone is in good hands. Dinner at Dudley's to celebrate six years! If you know me, you know I'm not very adventurous, but the girls have stolen my ability to sleep in and made me restless when, so we went hiking and had a great time! The gorgeous view on before heading home to the crazy, but wonderful, life we've created! Six years ago we said "I do" and what a whirlwind life has been since then, in the best ways imaginable. In 2,190 days we've moved houses, added one (bad) cat and two beautiful girls, lived, laughed, and loved. I'd do it all over again in a heartbeat! Here's to at least 60 more years of the same. We all took a day off of work and school the Friday of Memorial Day weekend and had a family day of fun that started at the Zoo and ended with running through the sprinkler ... what a great way to mark the official start of summer! The girls love the oversized buckets from Paw Paw and Maw Maw! Anna has been taking dance / ballet / gymnastics classes through a program that comes to her daycare for a couple of years now, but we didn't think she was quite ready for a recital last year for a variety of reasons. Knowing how much she loves to perform for us at home, we knew she was ready this year! A star is born ... basically. As per tradition, I took Anna's birthday off work and we had a blast spending the together. We started the day with homemade blueberry pancakes (her request), a trip to the zoo, dinner out, and presents. Not to discount the hugs, laughs, and FUN. Consensus is that four = fun! Not three minutes into this train ride, I pointed out the wolves by quietly howling ... Anna rolled her eyes, looked at me and said "Mom, please stop that, you're embarrassing!" Birthday sundae at Red Robin! Anna requested a princess party for her birthday again this year and I can't think of a better way to celebrate our little princess that's growing up fast and furiously. We kept it simple and just like last year with friends, fun, food, and cupcakes at a local park. Luckily the weather cooperated, everyone had a blast, and you can see by the big smiles below that Anna truly felt like a princess for the day! I can’t believe you’re four years old! You’ve changed so much in the past year, the past 6 months, the past week … it’s amazing. You’ve grown physically, mentally, and emotionally this past year and it’s hard to imagine when you were small enough to be cradled in my arms. You’re long and lanky, tall as a bean pole, and have the most beautiful features. More importantly though, you glow from the inside out, have a beautiful soul and a heart of gold. You’re just a delight to be around lately and are truly one of the sweetest girls. You feel big emotions on both ends of the spectrum and I just love watching how you’re learning process and communicate your feelings. I obviously don’t love seeing you sad or upset, but I do love seeing how you’re better able to understand what you’re feeling, how to properly express those feelings, and how to pick yourself up and carry-on. You’re also starting to recognize and process the feelings of those around you and I love the tender moments when you offer a hug to someone feeling blue. You don’t have much in the way of a poker face yet and still wear your heart on your sleeve, and I’m not anxious for either of those qualities to go away. You have A LOT of questions, but that also means you can have pretty interesting conversations and I’m starting to understand your views and thought process a little better. Your mannerisms are hilarious and I often feel like a teenager is talking to me. You’re prone to putting your hand on your hip and sashaying it in such a way that you look like you’re 4 going on 14, or you’ll get flustered or frustrated and throw your hands in the air, sometimes with a slight eye roll. There are a lot of “whys” and “whens” in our life and you haven’t quite grasped time, so we’re careful to only share big news when you’ll get to share the experience soon. UNLIKE the time your Dad told you about our trip to Florida that included an airplane ride and trip to Disneyworld approximately 6 weeks in advance, which led to daily and very detailed questions. You’re too sweet for words when it comes to you sister and the feeling is 110% mutual. You are her protector, playmate, comforter, and sometimes antagonist, but you love her fiercely. Since she’s your literal shadow there are some activities, like certain arts & crafts, play-doh, that just don’t happen very often because she’s such a loose cannon. And is a lover of eating play-doh. You generally understand and we try to keep things fair. Like not letting her watch Mickey Mouse Clubhouse on a revolving reel. She doesn’t get treats at night and gets fewer special Mommy & Daddy dates because she’s a little too young to understand, but on the flip sides, she’s also a little too young to full understand time-outs and the other less fun swaps that don’t always equal fair treatment. You’ve expanded your palette and are actually a pretty good eater these days. It takes some time for you to concentrate on breakfast, but you usually power through lunch, dinner and MANY, MANY snacks throughout the day. I don’t know what life with teenage boys would be like, but I really can’t imagine it’s much different than your current appetite. Luckily we promote healthy snacks and no treats unless you’ve eaten your fair share and behaved well during the day. You LOVE peanut butter and jelly sandwiches, chicken nuggets, cheese burgers, mac n cheese, all fruit, broccoli, frozen peas (yes, frozen), green beans, and pretend to like salad just so that we share the croutons with you. You had a wonderful princess birthday party with your friends and family at the park. 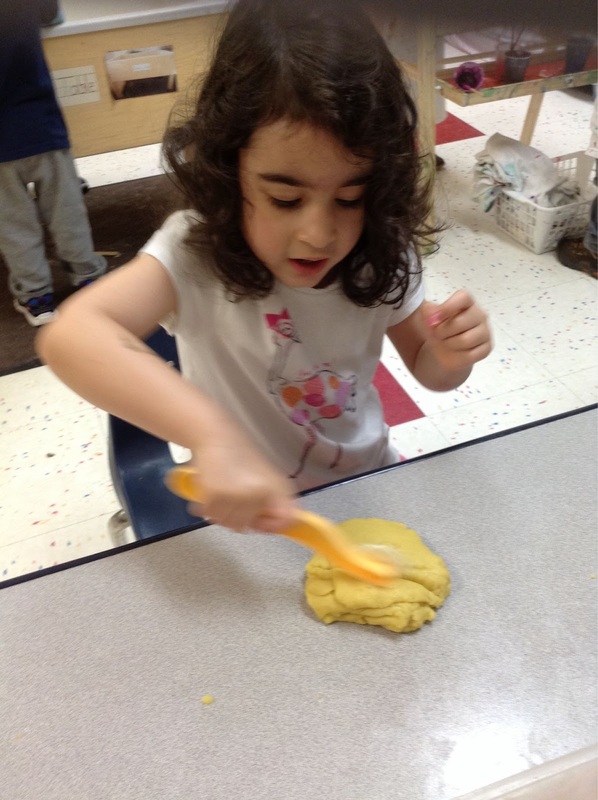 You loved the attention and the time with your friends, playing, and cupcakes. You’ve come out of your shell a bit, and although your best friend is still Audrey, we’re working on expanding your horizons. We heard how smart and sweet you are (no surprise there!) at your parent-teacher conference this month and were reassured that you’re doing all the right things and progressing right on schedule. You’re not a wallflower, but you’re also not one to be in the middle of conflict. Your teachers like that you know when I stay away from a bad situation and can stand up for yourself; and that makes us proud too! Four years seems like just yesterday and forever all at the same time. I can’t imagine life without you, your quirks, your hugs and kisses, your questions, and your sweet smile. Thank you for giving me the greatest gift of all, being your Mommy. I love you more and more each day, and though I’m sad that you no longer fit neatly into my arms, I couldn’t be more proud of the brave, sweet, honest, and loving girl you’ve become. Anna: Mommy, how do you spell your name? Our Daddy is faster than yours! We are SO proud of Daddy for finishing the Flying Pig half marathon, and had a blast seeing him at the finish line! 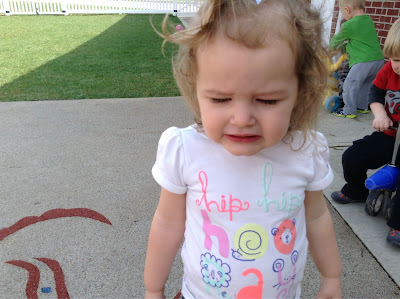 4/1/15: Charlotte loved going down the slide on the big kids play ground. She would say "whee!" With a big smile every time. 4/2/15: Charlotte loved going on an egg hunt today!! She got so excited when she found eggs! The best part was there were jellybeans inside and she was so surprised!! She is a doll!! 4/6/15: Charlotte loved the foam animal stickers in the sensory table today. She would ask, "what's this"? For each animal, she liked the monkey and elephant the best. 4/7/15: When Ms. Hannah was putting pictures on the daily sheets, Charlotte came up pointing to the iPad yelling, "Watch a movie. I want to watch a movie!" How funny. 4/8/15: Ms. Kaylyn put on music after lunch today and Charlotte immediately said, "shake it off"!!! Haha. She is so fun!! 4/9/15: Charlotte was dancing with the scarves in dramatic play and singing Twinkle Twinkle Little Star. 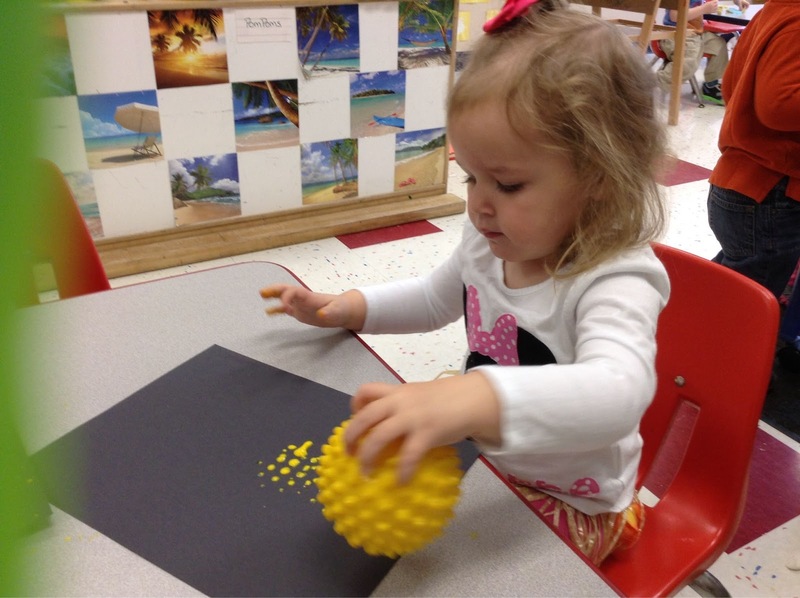 She was twirling around in circles, and then she stopped because she was dizzy. She thought that was so funny. Ms. Hannah and Ms. Kaylyn adore Charlotte, such a sweet girl!! 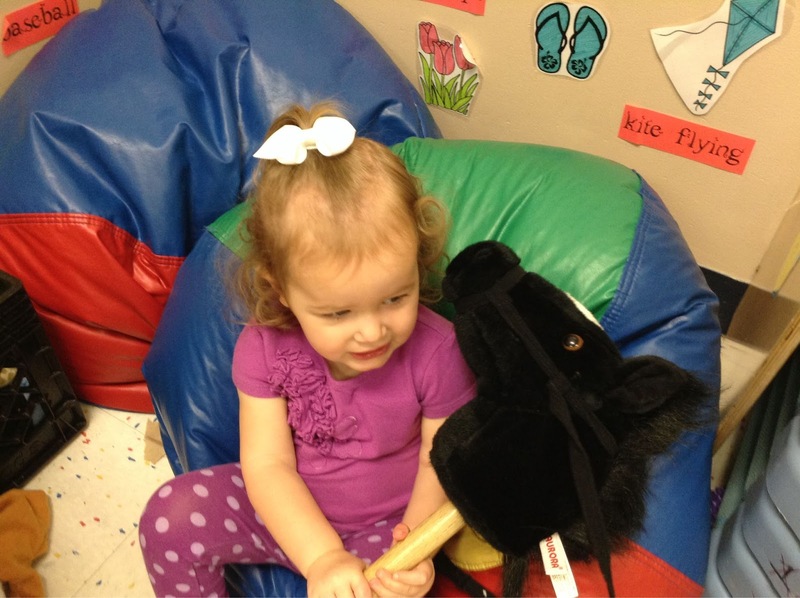 4/10/15: Charlotte liked the stick horse today. She thought it was so fun to make the horse make sound. Every time she pushed the button she would laugh. 4/13/15: Charlotte loved the bubble outside this morning. Every Time Ms. Kaylyn would blow bubbles, she would squeal and run after them. She wanted to pop every bubble. So fun! 4/14/15: Outside today, Charlotte was digging in the dirt and was feeding rolly poly bugs grass. She was telling them to "eat it, eat it in your mouth"! Haha. 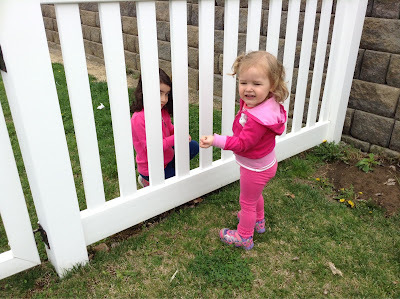 4/16/15: While we were outside this morning Charlotte saw Anna at the fence on the other playground. They were picking grass together and giving to each other to make soup. Cool!! 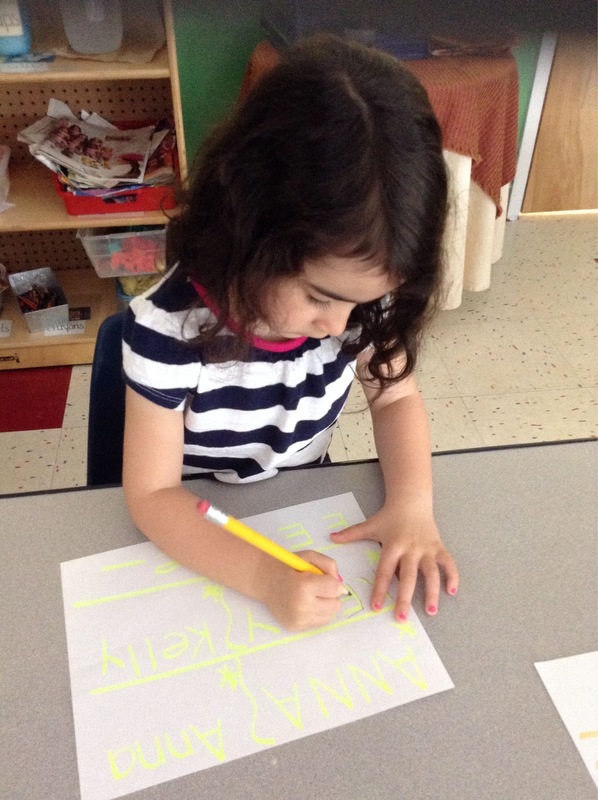 4/17/15: Charlotte liked coloring today at the art easel. "Look at it! Look at it!" Charlotte would yell and point to her markings. 4/20/15: Charlotte had the dancing scarves out this morning and she asked Ms. Kaylyn to tie it around her waist like a skirt. She said she wanted to be like mommy and wear a skirt! So cute! 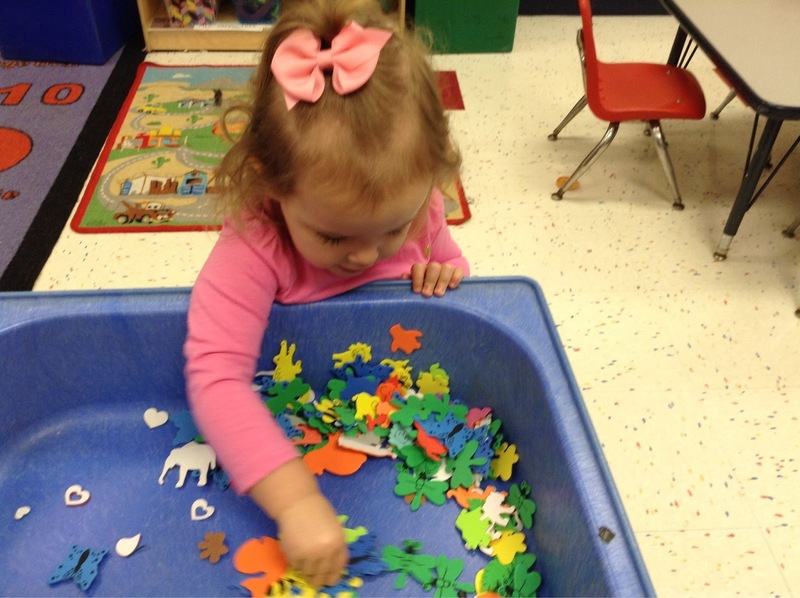 4/21/15: Charlotte loved exploring with the sand and sea shells in the sensory table this morning. 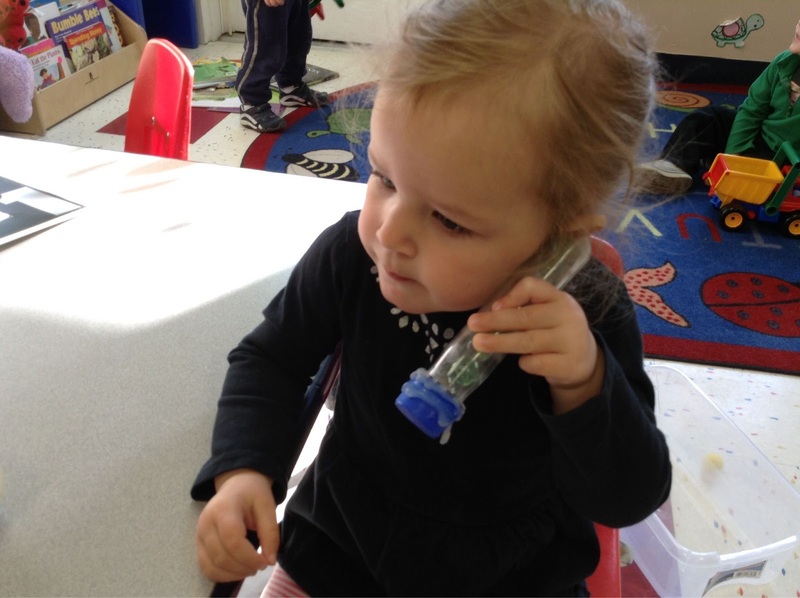 She would put the bigger shells up to her ear and try to listen and see if she could hear anything! She said she would like to go to the beach! 4/22/15: Charlotte was Miss Hollywood in the gym today. 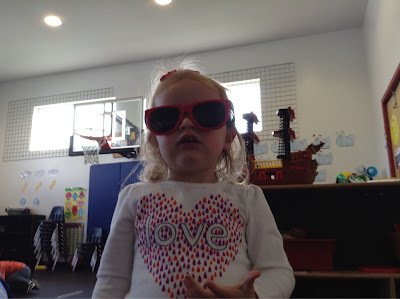 She put on a pair of sunglasses and kept saying, "look at me, look at me"!! So cool!! 4/24/15: Charlotte was a great helper today! 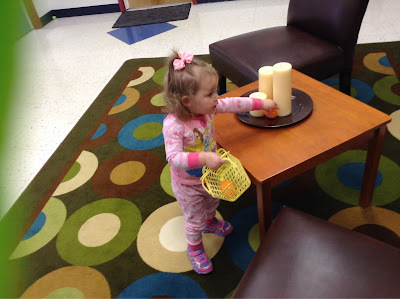 A friend was having trouble scooting their chair in at snack time and Charlotte got up and helped them push it in! Awesome job, Charlotte! You rock, Sweetie! 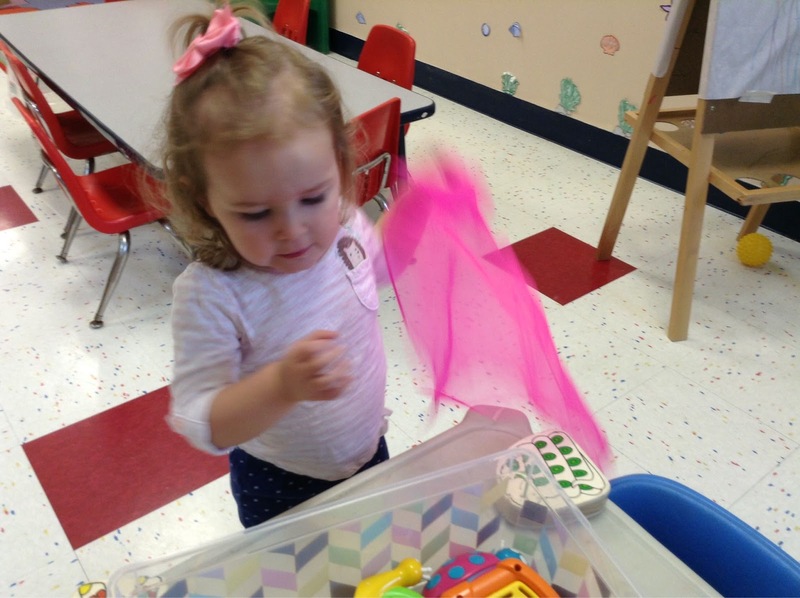 4/27/15: Charlotte liked exploring the homemade spiders in our sensory table. 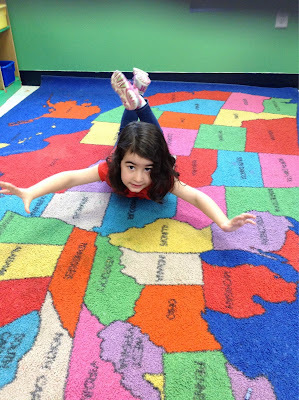 She took one out, put it on the floor to make it crawl and said, "it's going to get you!" Haha. So funny! 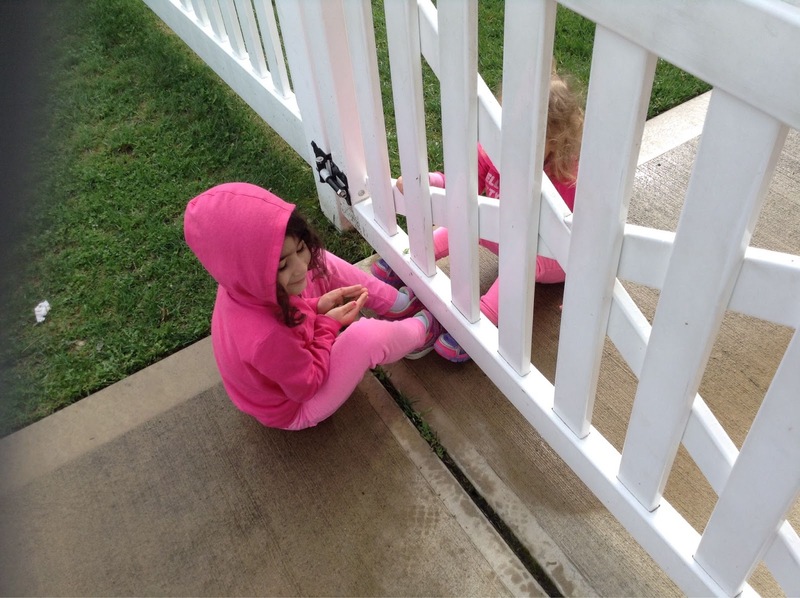 4/28/15: Outside this morning, Charlotte was sitting on the playground pretending to have a picnic and she told Ms. Kaylyn she was eating cookies! Since Charlotte is so sweet, she offered to share with Ms. Kaylyn! Yum! It was delicious! 4/30/15: Charlotte was running around the playground this morning with a friend and they were holding hands. It was so cute. 4/6/15: Anna told us the Easter bunny hid eggs outside at Grandma and Pap Pap’s house over the weekend! 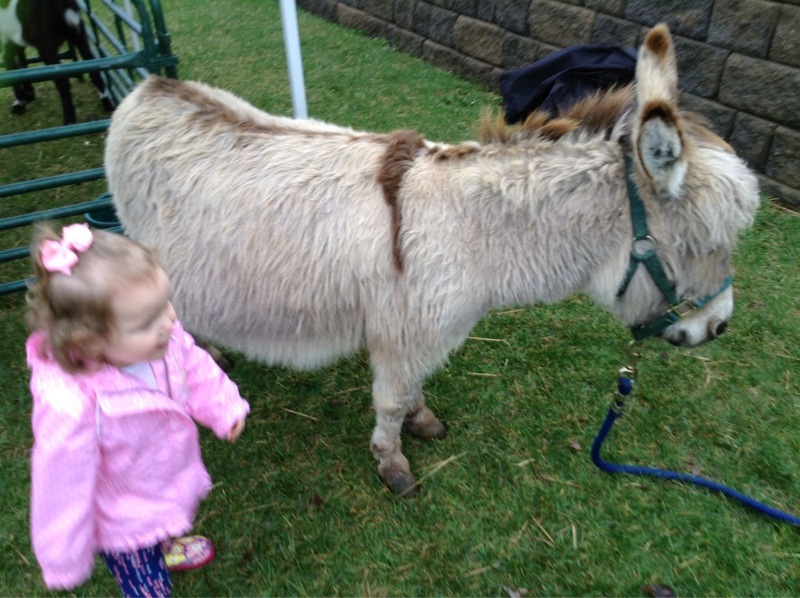 4/7/15: Anna told us her favorite farm animal that visited today was the donkey. :)) hee haw! 4/8/15: Anna told us about riding a toy horse at Grandma and Pap Pap’s; his name is Princey! 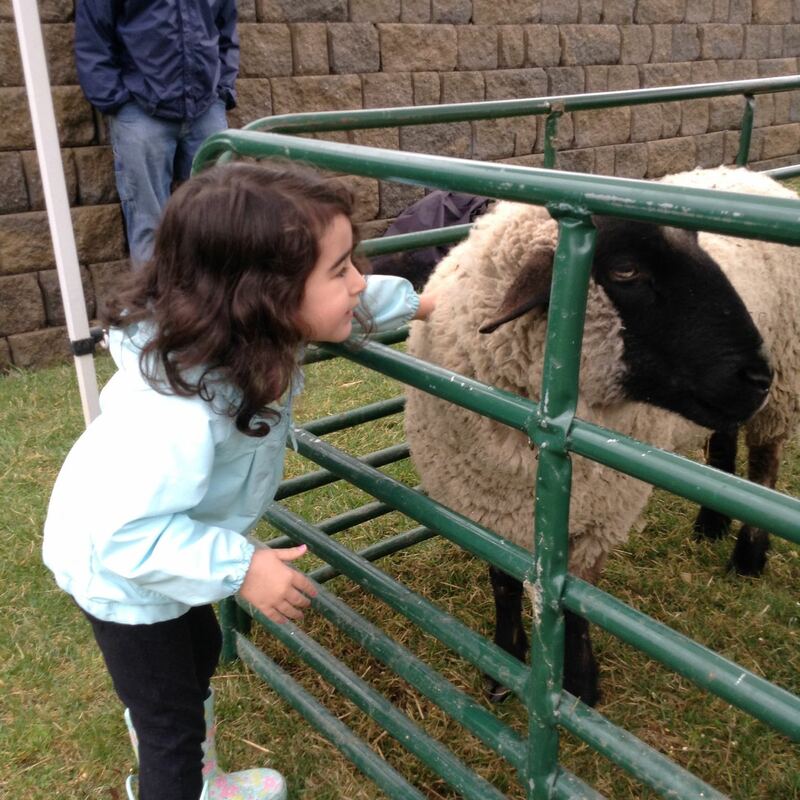 4/16/15: Anna enjoyed going outside today because she got to see Charlotte. 4/17/15: Anna told us that her weekend plans include going to the park her family! She is so excited to play on the slide! 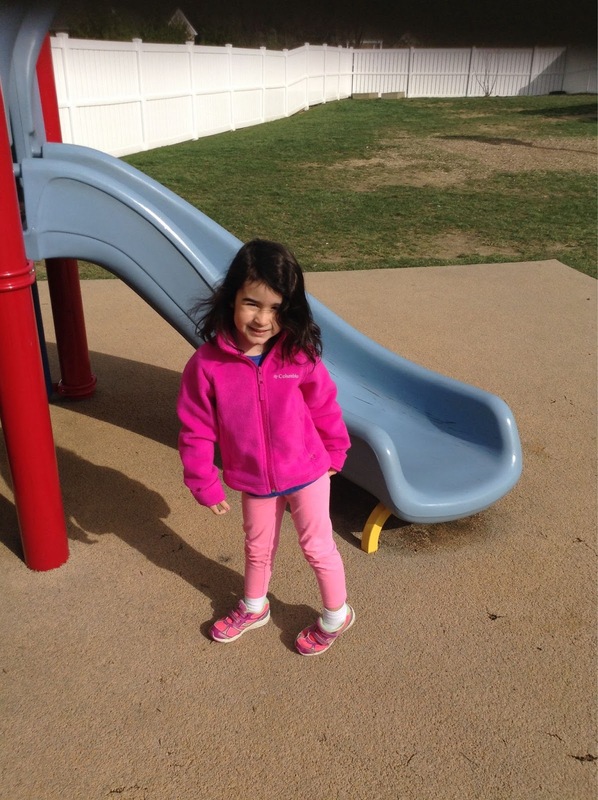 4/20/15: Anna had fun seeing Charlotte on the playground today! 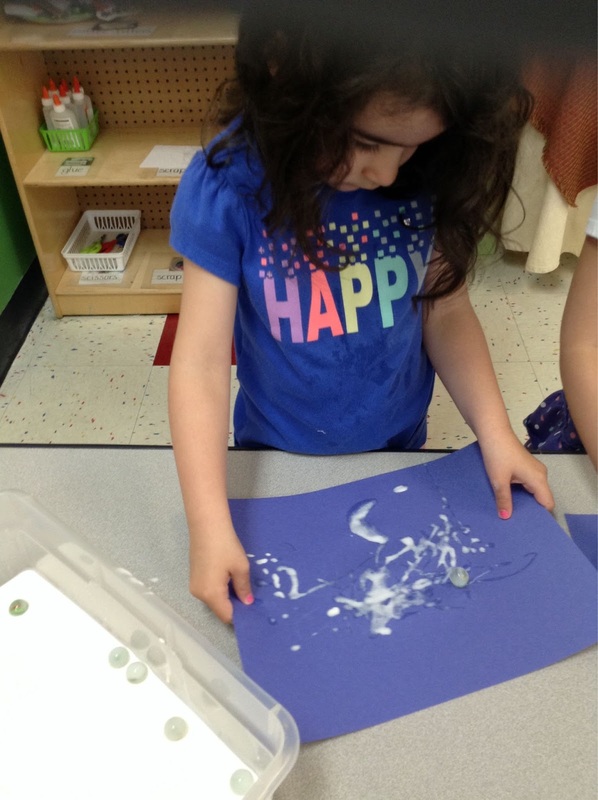 4/22/15: Anna told us that she has been on a picnic with mommy by the pond. 4/23/15: Anna told us she wants to be a pink power ranger when she grows up. 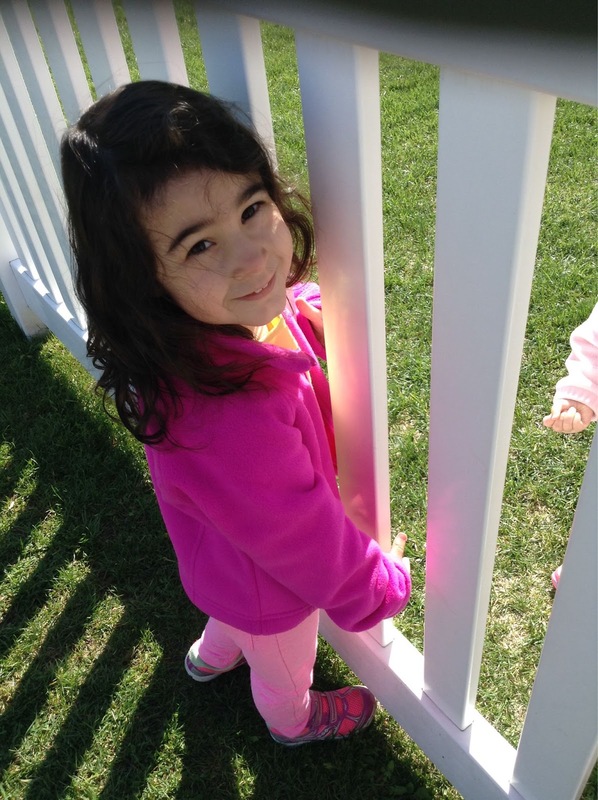 4/24/15: Anna had so much fun at soccer shots today!